Parliament today adopted the 19th Amendment to the constitution. In the third reading of the 19th Amendment, two hundred and fifteen (212) Members of Parliament (MPs) voted for the amendment while only one, MP Sarath Weerasekara voted against it. MP Ajith Kumara abstained the voting while ten Members of Parliament were absent. Three MP’s who voted for the second reading of the amendment, including DM Jayaratne were absent. Parliament today passed the second reading of the 19th Amendment. Two hundred and fifteen (215) Members of Parliament (MPs) voted for the amendment while only one, MP Sarath Weerasekara voted against it. MP Ajith Kumara abstained the voting while seven Members of Parliament, Basil Rajapaksa, Premalal Jayasekera, Janaka Priyantha Bandara, Dr. Jagath Balasuriya, Keheliya Rambukwella, Ven. Ellawela Medhananda and Susantha Punchinilame were absent. MP Sarath Weerasekara voted against the amendment while MP Ajith Kumara abstained from voting. The government agreed to the SLFP move to dilute the composition of the Constitutional Council. 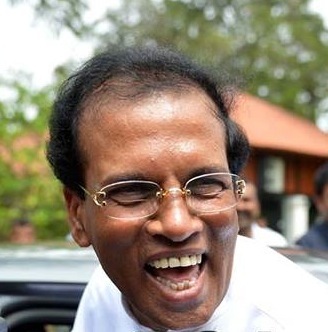 The SLFP proposed to include 7MPs to the constitutional council with 3 non MPs. The Constitutional Council as proposed by the 19th Amendment would be a representative body reflecting the views of diverse groups in Parliament and would be apolitical in so far as the seven non ex-officio persons who are not politicians and are distinguished in public or professional life. Midweek Politics: UNHRC 22: Geneva Braces For Swiss Knives And Sri Lankan Swords!